See what's driven in "The Hamptons"
Enter the legendary 993 Porsche 911, the last of the air-cooled 911 coupes, “targas”, and convertibles. Such examples are known for their heavy, hydraulic steering and light-weight handling that is uninterrupted by severe electronic aid and interference. Of course, the benefits of “traction control” (which is an engine management system that limits power sent to the wheels) are certainly notable, especially for saving the vehicle from losing control and possibly crashing. In fact, this model was available with one of the first traction control systems from Germany, the Porsche Automatic Brake Differential (ABD). This system manipulates power sent from left to right wheels (rear wheels only in the C2 and C2S) allowing the vehicle to be controlled more directly by the driver. Today’s traction control systems make sure that minimal to no wheel slippage occurs, while the Porsche ABD genuinely does not limit the driver, making the vehicle more dangerous than a modern Porsche, but significantly more organic and controllable at the limit. 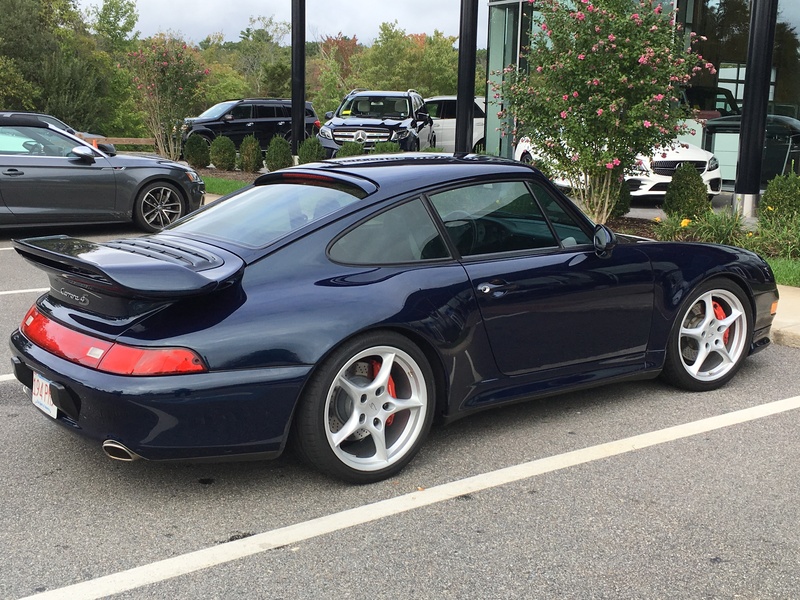 This particular 993 is the Carrera 4S variant, with many performance enhancements and benefits over the plebeian base models. Such options include the body-shell and upgraded brakes from the more powerful “Turbo” model, as well and the upgraded Porsche Aero-Kit rear wing. It even has the massive 285/30 ZR18 rear tires for excellent cornering and agility with 31mm spacers in the rear to compensate for the wider bodywork from the “Turbo” model (minus the rear air intakes). This example is also specced with no rear-wiper and no sunroof for ultimate aerodynamics and weight conservation. Interestingly, the wide-body design does improve low-speed cornering, but it limits the top speed of the car slightly when compared to the narrower Carrera models. 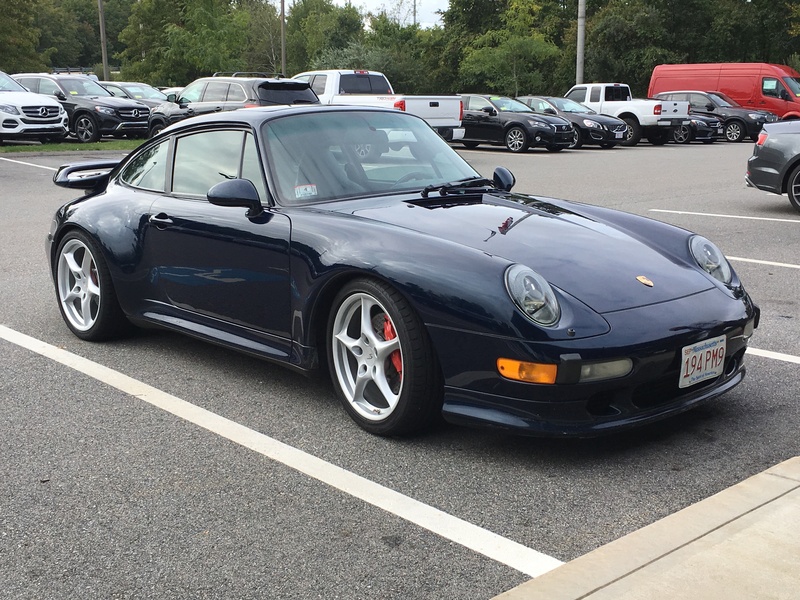 At only 3,274 pounds, even with all-wheel drive, the 993 Carrera 4S is a true blast from the past and a true icon in the performance car world even ’til this day. Good luck getting your hand on one, they are very rare now in 2018 and more expensive than ever (even compared to when new in some cases)! This entry was posted in Exotic, Obscure, Performance, Review by race46bimmer. Bookmark the permalink. BMW i3: City Car; Check.